First we had dogs underwater, then dogs shaking off that water—so why not dogs soaking up the exhilarating pleasure of a car ride? 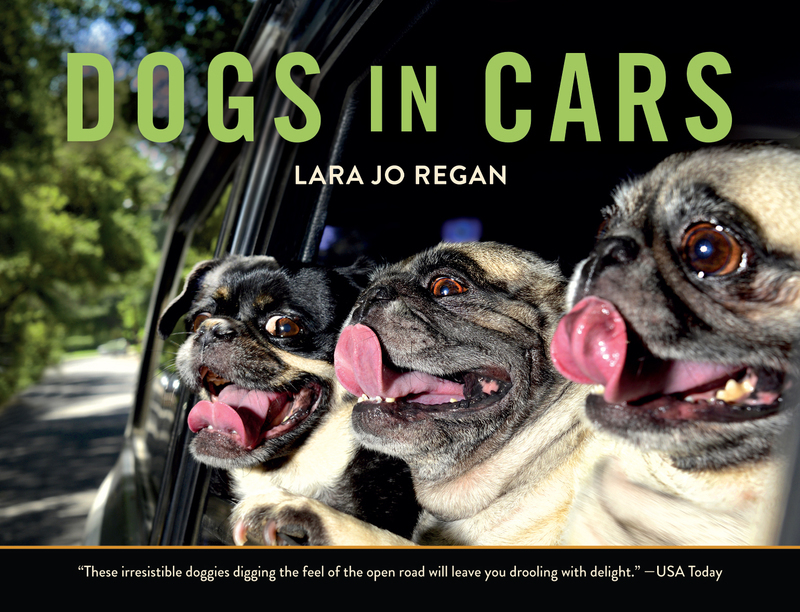 Photographer Lara Jo Regan began her pet project as a calendar, but the response was overwhelming and absolute: Her technical photographs of cruising canines, with tongues hanging and ears flapping, became a global Internet sensation. The energy in the photographs is impressive and visceral. In order to get these shots, Regan constructed a special light affixed over the roof of the car, a harness that allowed her to lean out of the window, and various other contraptions to make the images come to life. The book is laugh out loud funny and you'll want to share it with everyone you know. It’s full-speed happiness.